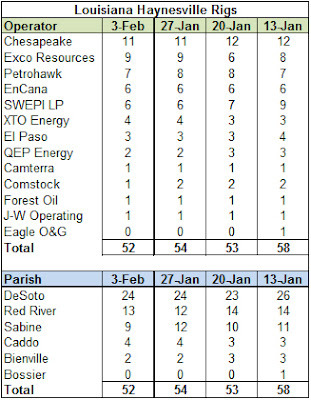 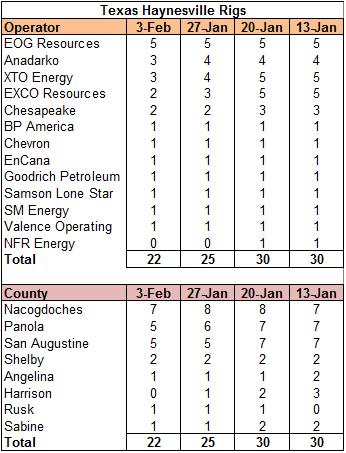 The weekly Haynesville Shale rig count dropped by another five to 74. 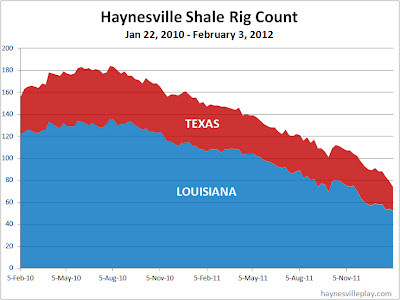 Louisiana was down two to 52, while Texas was down three to 22. 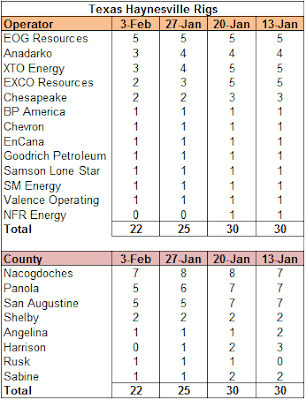 This week marks the first week since 2008 that no rig in Harrison County, TX has targeted the Haynesville. Yet another milestone of a rapidly declining rig count.